That time we decided to work out with our very own superhero, Captain Manchester, to raise money for our favourite Manchester based charity Forever Manchester. Needless to say there was a lot of lycra, neon fancy dress, hula hoops & confused onlookers as owner of Gym & Juice Nigel Meadows put us through our paces to tunes spun by DJ Sarah Giggle. Watch all the action HERE. If you love food as much as we do you will understand the pure joy a perfect plate of your favourite food can bring. One of our biggest Menagerie moments this year saw an update to our menu with some new favourites. If you haven’t tried our fried chicken & waffles drizzled in maple syrup have you even lived? 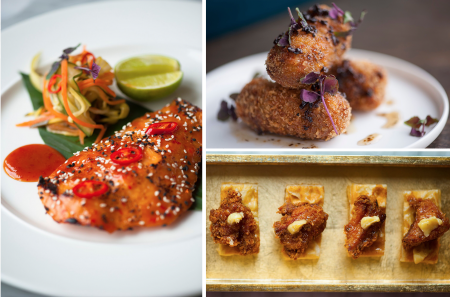 Stand outs include our honey truffle duck croquettes, tuna tartare tacos & our spicy miso salmon. 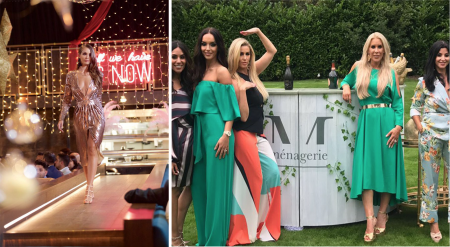 We have had so much fun this season on The Real Housewives of Cheshire, helping Co-Owner Stacey Forsey surprise Seema with a surprise garden party, where we served up our signature sparkling Menagerie Afternoon Tea , followed by a champagne show led by our Menagerie bunny (Owner Karina Jadhav donned the costume for this special occasion!). You can see our full blog on the surprise party HERE. AND could there be more of a Menagerie moment than a winter wonderland themed Forever Unique Fashion show filmed for the season 6 finale complete with 9 glamorous ladies, snow queens & stilt walking ice fairies. For all the behind the scenes info you can read the full blog HERE. 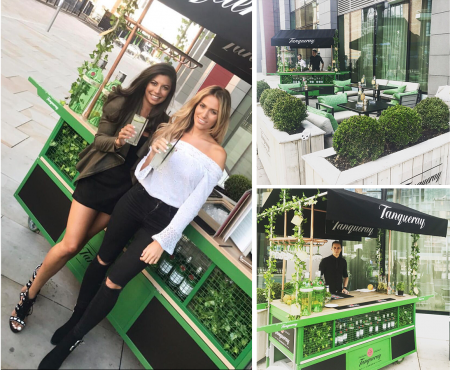 2017 saw the city go gin crazy (or crazier) so what better way to celebrate our favourite drink than to open a garden dedicated to all things gin. We indulged guests with a “make your own” perfect gin & tonic, with an array of gin friendly botanicals to choose from alongside the ultimate selection of Fever Tree tonics to accompany their favourite spirit. Not forgetting our beautiful sunshine filled setting to enjoy it in! 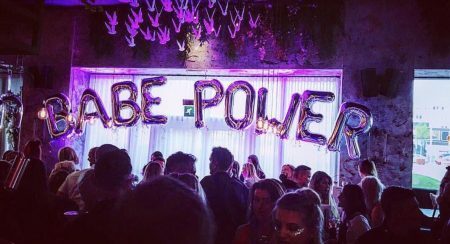 We are proud to say we were there to host the launch of “Babe Power” the best selling Fragrance from Missguided & The Fragrance Shop in May 2017. The party, was all pink themed to match the packaging of the perfume, which was billed as being “for the girl who wants her scent to match her unapologetic attitude,” and included a sassy DJ set from super-cool model Helen Holt. Following it’s launch the scent quickly outsold favourites including Dior & Paco Rabanne, establishing itself as the fragrance of 2017. X Factor winner Louisa mesmerised us all with her breath taking performance at the beginning May. 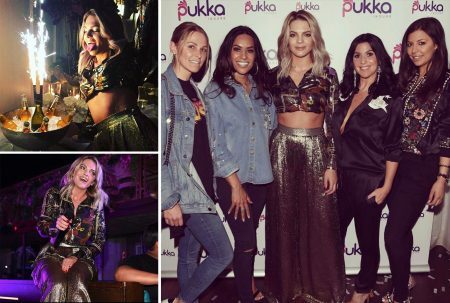 The star was performing at Pukka insures first Birthday celebration, for which they chose Menagerie to playlist their exclusive VIP event. Full article HERE. 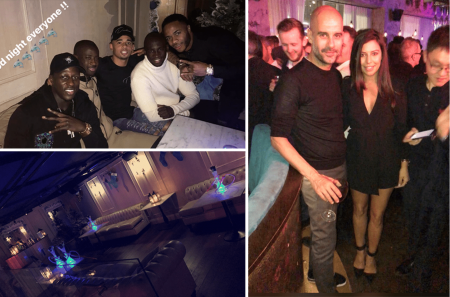 Christmas came early when Manchester City celebrated their Christmas party at Menagerie. Over 500 of their team, including players, management and professional staff from across the club joined us at their very blue Christmas event. Guests partied to: “Glad All Over/We’ve Got Guardiola”, “Woah Woah Fernandinho” and “Champagne Supernova”. It’s not everyday that you have the UK number one chart topper performing LIVE for you, that’s what we call a Menagerie Moment. 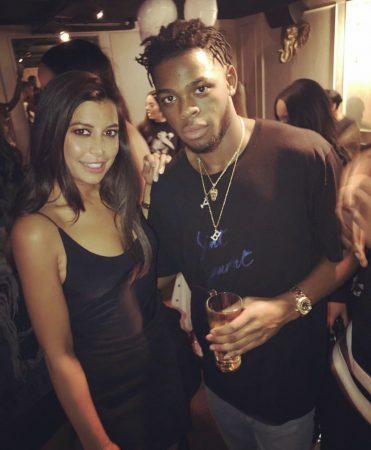 So YXNG Bane performing at the Couture Club Women’s Collection Launch is one of our top ten Menagerie Moments of 2017. Guests were entertained by the talented gentleman himself with an intimate performance and partied into the early hours with him. Watch what happened HERE. It’s been a busy year for Manchester’s restaurant and bar scene with over 25 new openings this year alone. 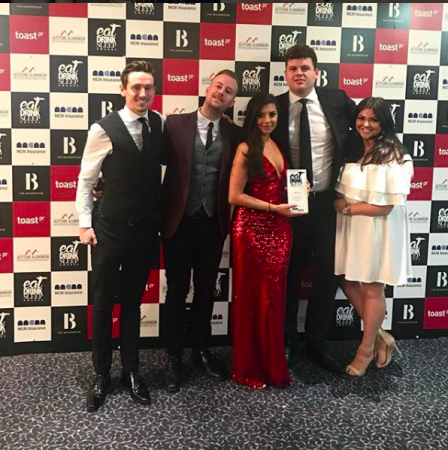 So when we attended the glittering Eat Sleep Drink Awards we were absolutely delighted to be awarded with Best Newcomer in Central Manchester. A very proud moment for the Menagerie team, we were spurred on to keep bringing our unique Menagerie sparkle to Manchester. Read more HERE. After the Manchester Terror Attacks we were overwhelmed by the way the city came together and stood stronger than ever. As memorials to the victims were displayed poignantly in a respectful silence on St Anne’s Square, the city mourned it’s loss. In true Manchester fashion we wanted to show support and love for our city, Menagerie style. 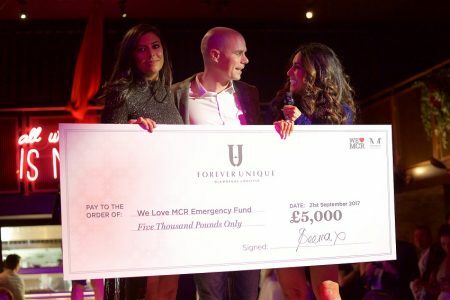 The Menagerie team teamed up with Co-Owner & Real Housewives of Cheshire star Seema Malhotra and businessman Chris Healing to raise money for the We Love Manchester Emergency Fund. Amongst the star-studded attendees was our courageous guest of honour, 8-year-old Lily Harrison, who was injured in the attacks. Lily wore her Ariana Grande inspired kitten ears in tribute to those affected by the Manchester Terror Attacks. You can read our full blog about the event HERE. This was an unforgettable week! As a woman in business, I’ve learnt to never underestimate myself and that time is my most valuable commodity. It looks like summer’s on its way out and what a whirlwind of it’s been. But, I wouldn’t have it any other way. Visiting Nusr-et and meeting Salt Bae was everything I imagined and more! Being an entrepreneur and running your own business can mean that very quickly you become consumed by work and it becomes difficult to escape your own headspace. Celebrating International Friendship Day with a shout out to all my friends and girl bosses.